Indian Beauty Parlour in Melbourne. Threading Eyebrows, Facial treatment, Body Waxing, Pedicure, Manicure and Permanent Hair Straightening. Get all your beauty needs at Naaz Beauty Parlour. We offer range of services for skin & Body care. Enquire about our popular 1 hour facial treatment with massage or click on Popular Facial Offered link. Visit our online gallery for Fashion & Beauty. We have a large collection of designer kurtis, Dress material, latest design trend, Jewellery and beauty tips. Professional Beauty Parlour with range of services under one roof. From Blackburn South to Boronia, eyebrow threading is a very popular and a quick appointment you can make over the phone. 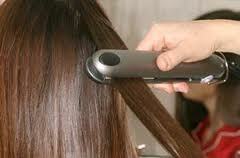 At Naaz Beauty Parlour, we aim to provide professional service for all your beauty needs. Experience your inner beauty and revitalize your skin. You can browse the different services we offer from the left menu or by clicking the small images below. Each page describe more details on the beauty procedure, products we use and appointment details. Waxing: Remove unwanted hairs from your body; we offer Waxing for Legs, Hands & Under Arms. Get professional Waxing treatment in a comfortable environment. You can click on the image to read more..
Pedicure & Manicure : Get good care of your feet and nails with the relaxing spa pedicure treatment. We use Australian made products for Pedicure & Manicure. Threading: Get perfect shape for your eyebrow and look more beautiful. Easy and irritation free threading done by expert beautician. You can also get unwanted hairs removed from your face, Forehead, Chin & Upper lips. Read more.. Whether it is the frizzy, curly or the wavy locks that you are tired of flaunting, wear your hair straight and sleek with a vibrant sheen! We, at Naaz Beauty Parlour you to be in vogue and opt for hair straightening or rebonding as being fashionable is just at your fingertips now! Henna and Hair Color: Mehndi which also commonly know as Henna is a traditional ritual performed during marriage and other special occasions. 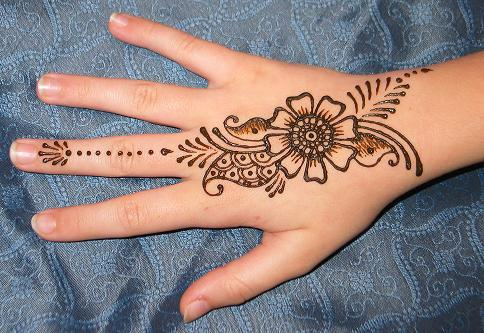 Arabic mehndi design is also a popular bridal choice. Choose Henna (tatto) design of your choice from design book or get our expert advise. If you are looking for a beautician for your beauty treatments, you can contact Naaz Beauty Parlour for all types of beauty services including threading eyebrows, Upper Lips, Chin, facial, hair cut, pedicure, manicure, bleach, mehndi application and other. We don't claim to be the best Indian Beauty Parlour in Melbourne, however our service definitely makes us better! Rejuvenate your skin and get an unforgettable experience with our professional and relaxing facial treatment. The ultimate facial treatment which reduces visible ageing skin and gives a glowing look. We have our client base spread across Melbourne in the suburbs like Glen Waverley, Mount Waverley, Wantirna, Boronia, Bayswater, Ringwood, Ferntree Gully and other nearby suburbs. Book an appointment to revitalize your skin and a relaxing experience.